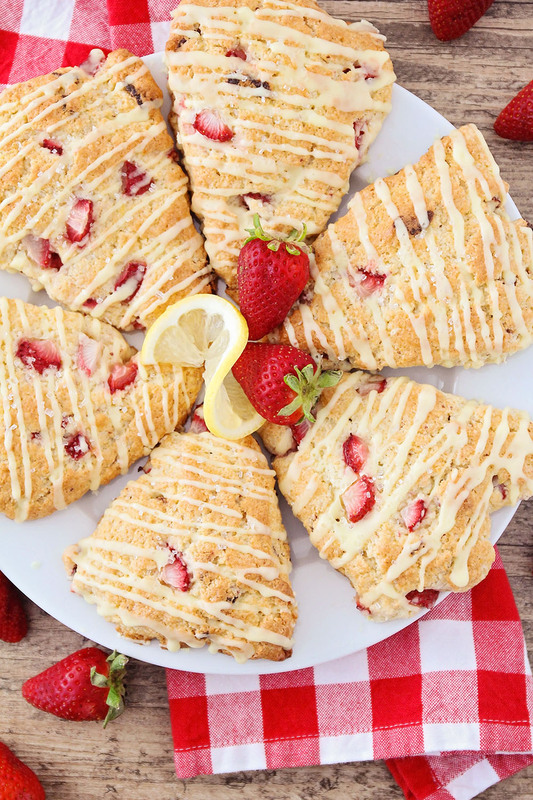 These strawberry lemonade scones taste just like your favorite summertime treat! 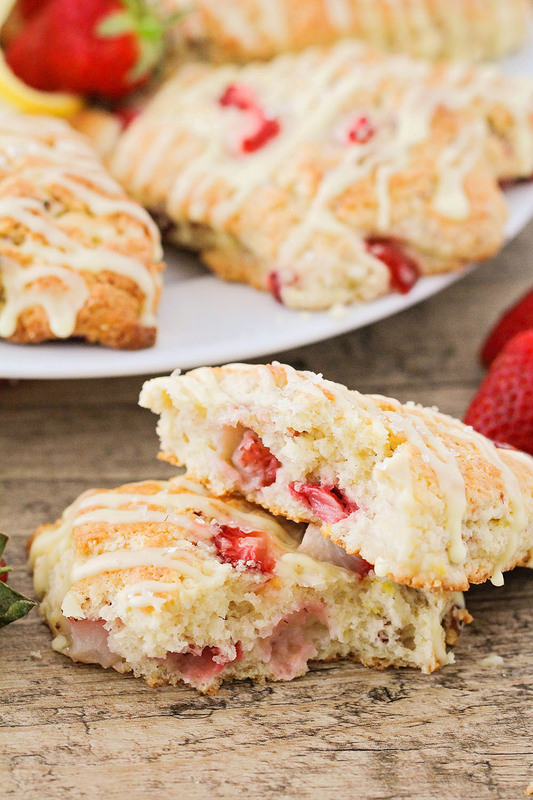 Delicious strawberry and lemon flavor packed into light and tender scones. Today is a pretty special day for our family! 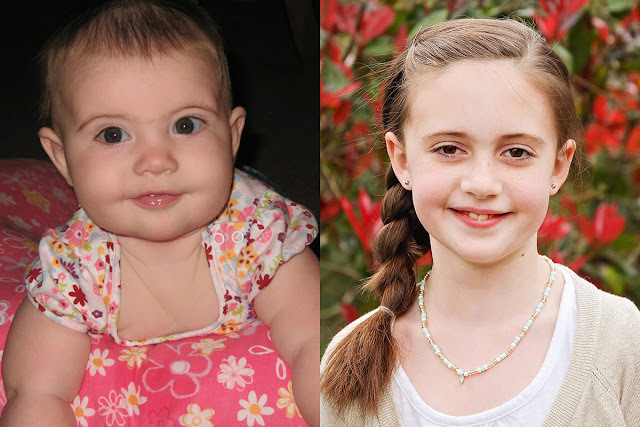 My oldest daughter Abby is turning 10! I'm completely in shock that I have a kid in double digits. It's also amazing to me that I've been a mother for a full decade now. I still have no clue what I'm doing, and I probably fail more often than I succeed, but she's patient with me (just as I try to be patient with her), and I can't imagine my life without her! It feels like just yesterday that she was my sweet little chubby cheeked baby, and now all of a sudden, she's this tall, beautiful, grown up looking girl! Abby is super creative, funny, and intelligent, and I have no doubt she'll one day take over the world. 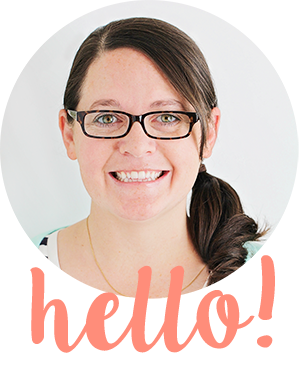 :) A few weeks ago she saw me working on my editorial calendar for the blog, and asked me what I was planning to post on her birthday. She told me it needed to be something special, something delicious, and something she loves. 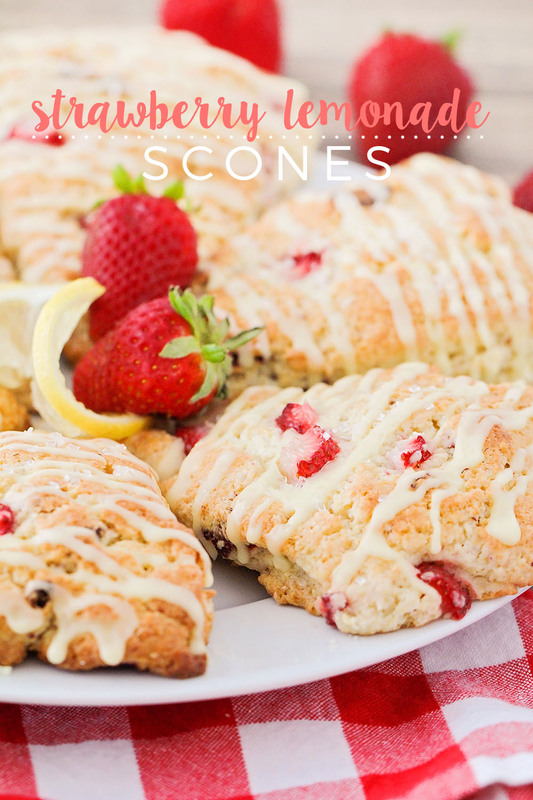 We brainstormed together, and came up with these amazing strawberry lemonade scones! These scones are light and tender, and full of strawberry and lemon flavor. 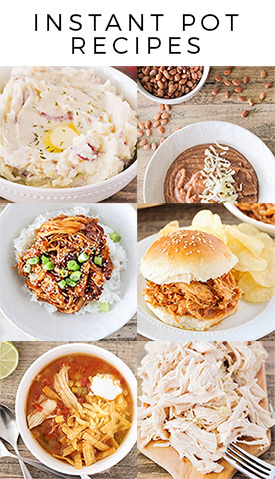 They're super easy to make (no mixer required!) and so, so delicious. 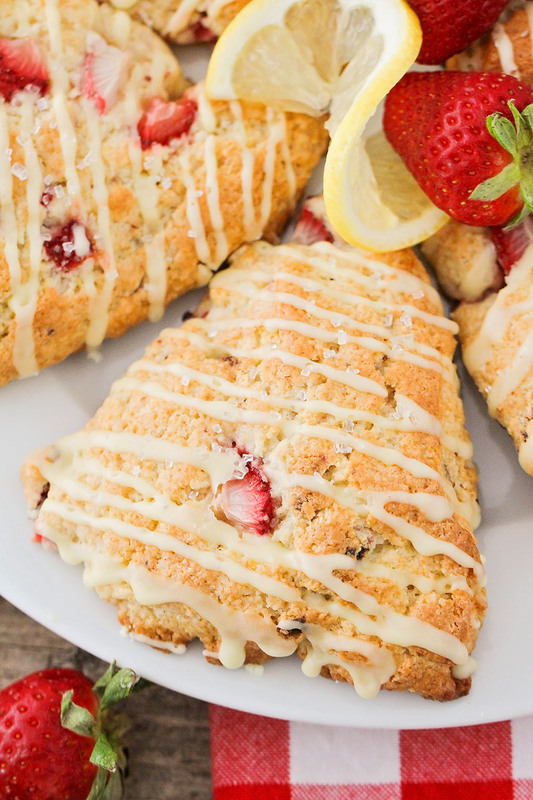 They taste just like strawberry lemonade, but in scone form! They'd make a delicious breakfast or brunch, an afternoon snack with tea, or even a special birthday treat for an adorable birthday girl. :) Trust me, you will love them! Preheat the oven to 400. Line a baking sheet with silicone or parchment. In a large bowl, rub the sugar and lemon zest together until fragrant. Whisk in the flour, baking powder, and salt. Grate the cold butter into the flour mixture and toss to combine. Add the freeze dried strawberries and stir to combine. In a small bowl or measuring cup, whisk together the half and half, eggs, and lemon extract. Pour the wet ingredients into the dry ingredients, and mix until the dough just starts to come together. Gently fold in the strawberries, being careful not to crush them. Pat the dough out into an 8 inch circle, being careful not to overwork it. Cut the circle into eight wedges, and place on the prepared baking sheet. Bake 18-20 minutes, or until golden brown. To make the glaze, whisk all ingredients together. Drizzle the glaze over the scones and sprinkle with sugar. Enjoy! These scones look delicious! What those flavors make it a perfect breakfast treat or tea time snack for the summertime! I haven't made scones in years, but you've got me wanting to make them again soon. Thanks, Leslie! Can't wait to hear how they turn out for you. Yum! Can't wait to try these! Thanks for sharing this recipe.